Is there a correlation between increased air travel and increased demonic possession? Driving out the Devil: what’s behind the exorcism boom? As of the past few decades, it is clear that Catholic clergy are witnessing a mushrooming demand for exorcisms. An astonishing number of people undergo deliverance from demonic forces every week, not only in the developing world but also in Britain and the United States. Pope Francis, who regularly speaks about the Devil, has told priests that they “should not hesitate” to call on exorcists if they hear confessions or see behaviour indicating satanic activity. 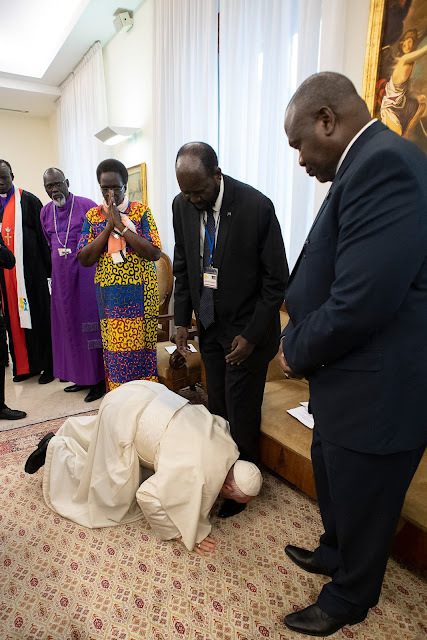 Just a few months into his pioneering pontificate, Francis himself performed an informal exorcism on a man in a wheelchair in St Peter’s Square. The youngster had been brought by a Mexican priest who presented him as demon-possessed. The Pope intently laid two hands upon the man’s head, clearly concentrating on driving out the demons.